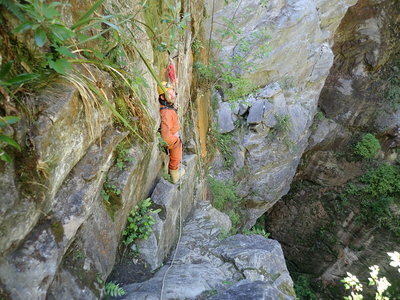 The school organises a comprehensive EOTC programme each year. 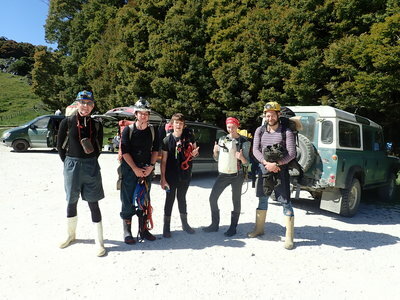 Each trip is carefully planned with the needs and strengths of each particular year group in mind. In some instances this programme may be changed because of the mix of students, the staff available and other factors. 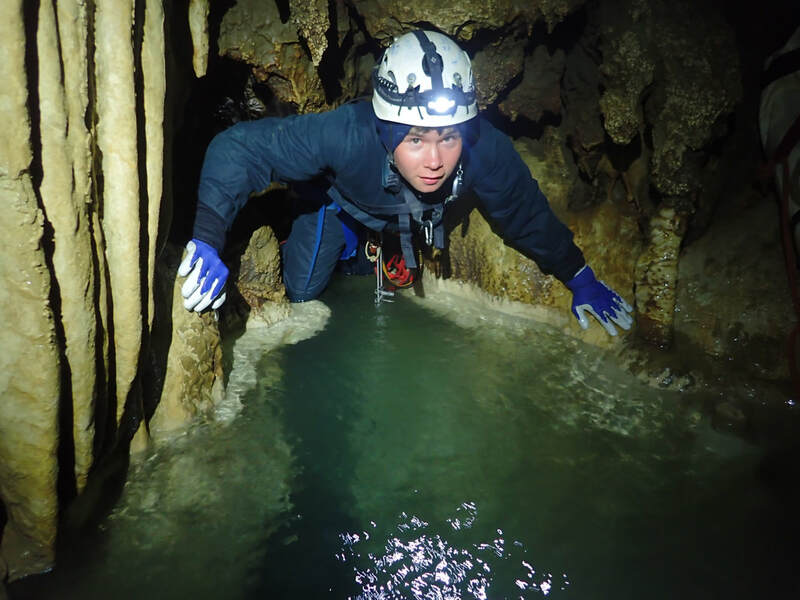 Some camps offer fundraising opportunities to reduce costs. 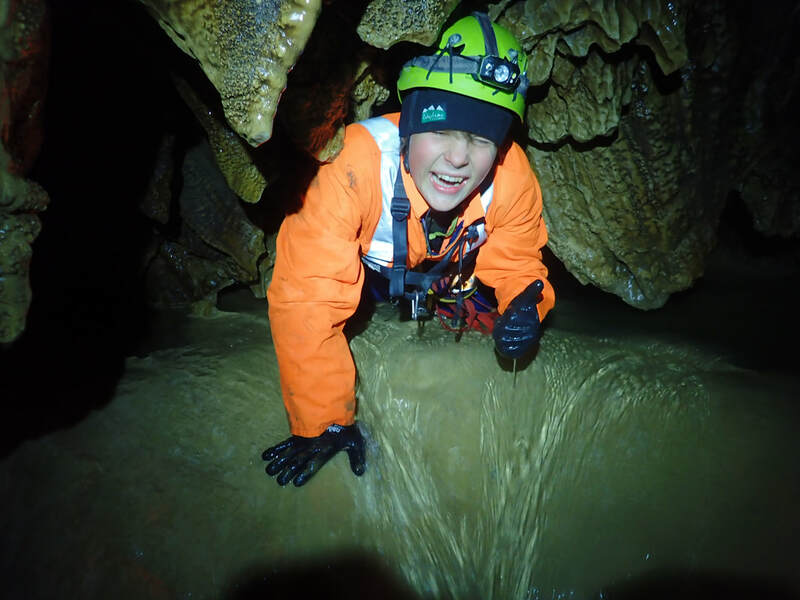 Many subjects have field trips to apply classroom learning in the wider environment. Those field trips held in Years 11-13 are detailed in course information booklets. 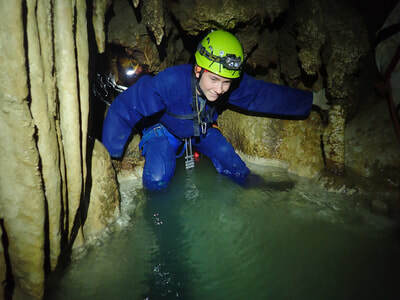 In addition there are school exchanges and cultural activities. 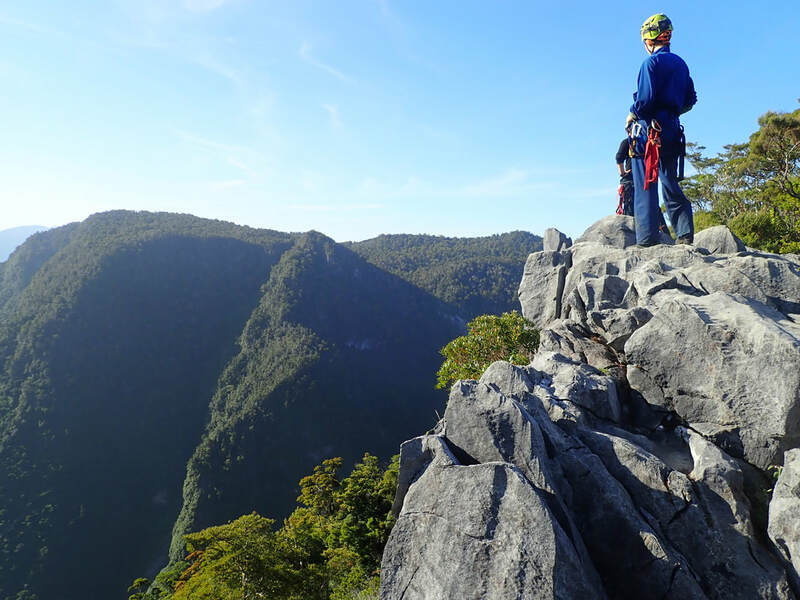 Parents will get adequate notice of these trips and events. 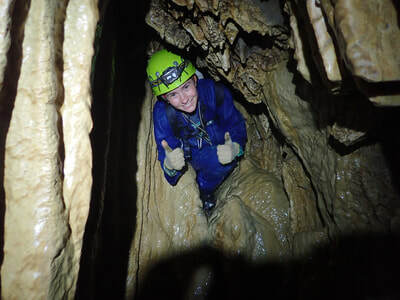 Financial hardship will not disqualify a student from going on a field trip. 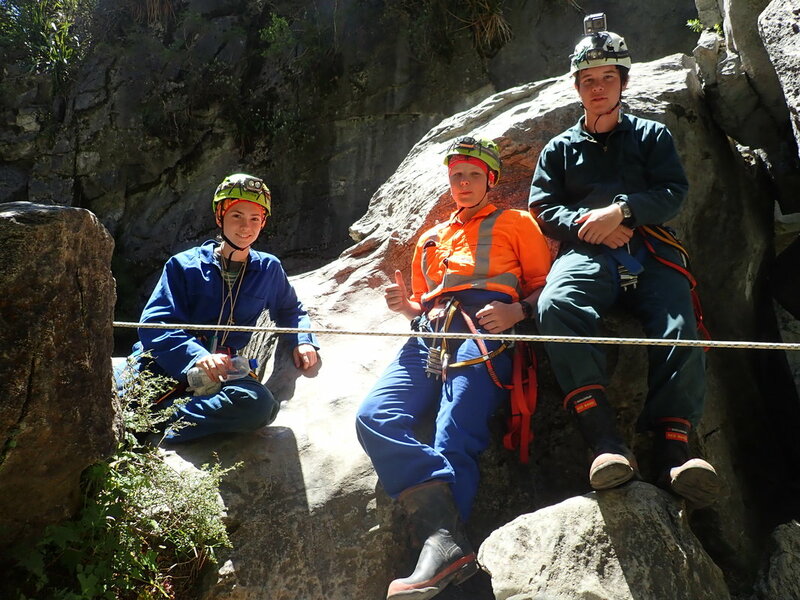 Please contact the Guidance Counsellor or the teacher in charge of the activity if finance is a problem. 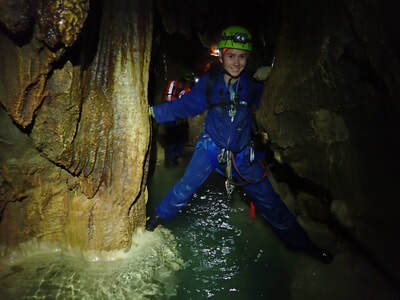 All pupils are encouraged to take part in activities outside the classroom. We have winter and/or summer sports exchanges with Nelson Preparatory School, Collingwood Area School, Tapawera Area School, Garin College and participation in Top of the South Year 7&8 Tournament, and Year 9-13 Winter Tournaments. 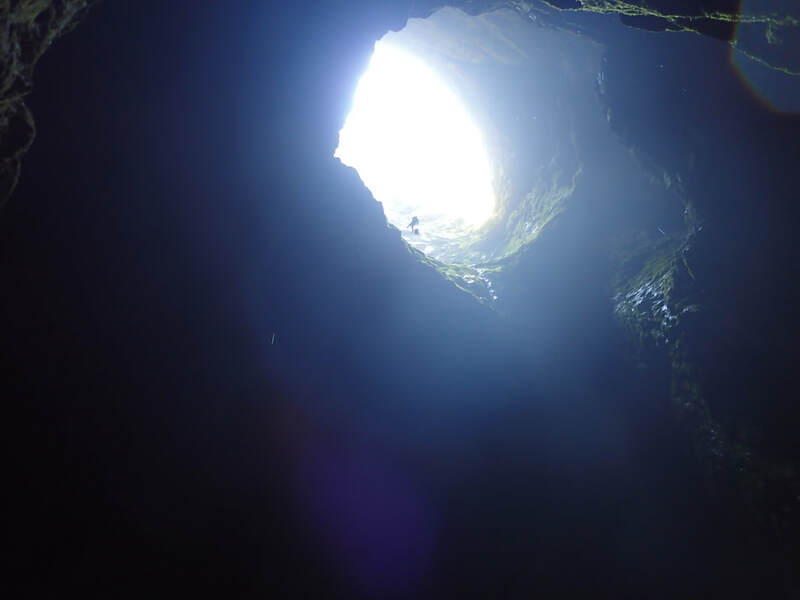 We offer individual music tuition and depending on demand can provide tutoring in some of the following: Brass, Clarinet, Flute, Guitar, Recorder, Saxophone, Keyboards,drums. 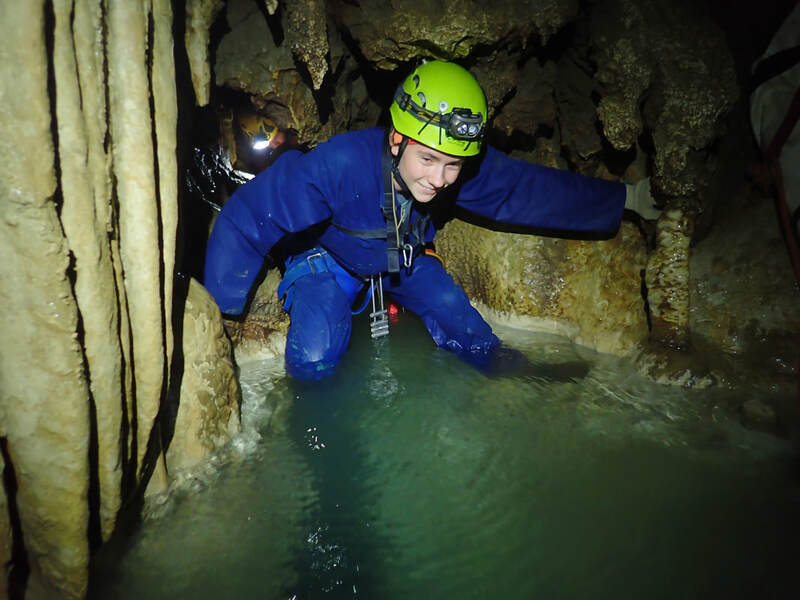 We offer the following sports: Athletics, Badminton, Basketball, Climbing, Cricket, Cross-country, Gymnastics, Hockey, Lifesaving, Netball, Rugby, Soccer, Swimming, Table-tennis, Tennis, Volleyball and Ki-o-Rahi, Caving and Chess. 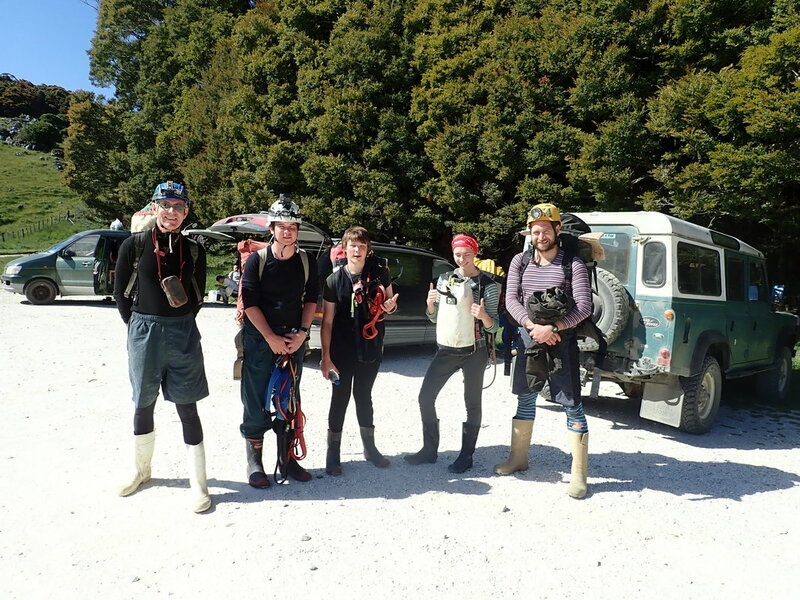 "Harwoods Hole has long been high on the agenda of the Golden Bay High School cavers - it is one of the trophy trips of New Zealand. However, the danger of hair jams halfway down the abseil, where the abseiler's hair gets caught in their rack [abseil device] and they end up hainging from their hair has always loomed as an obstacle. Harwood's hole has a long history of accidents and injuries associated with it, mostly associated with people lacking the specialist skills attempting to take on the difficult trip. The GBHS Caving group was determined not to be another one of these statistics. 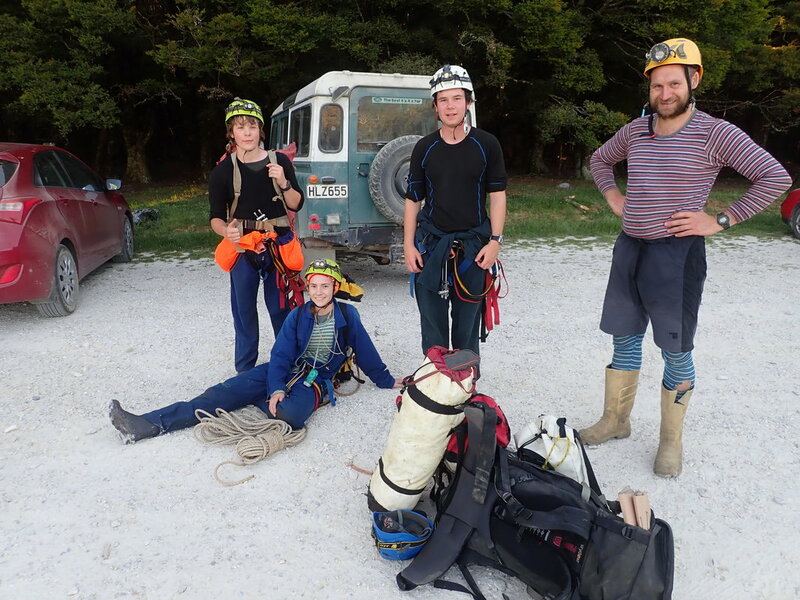 Thus, the Harwood's team assembled the day before the trip for training and rescue practice; the students had to perfect the art of undoing hair jams before attempting the 176m abseil into Harwood's Hole. 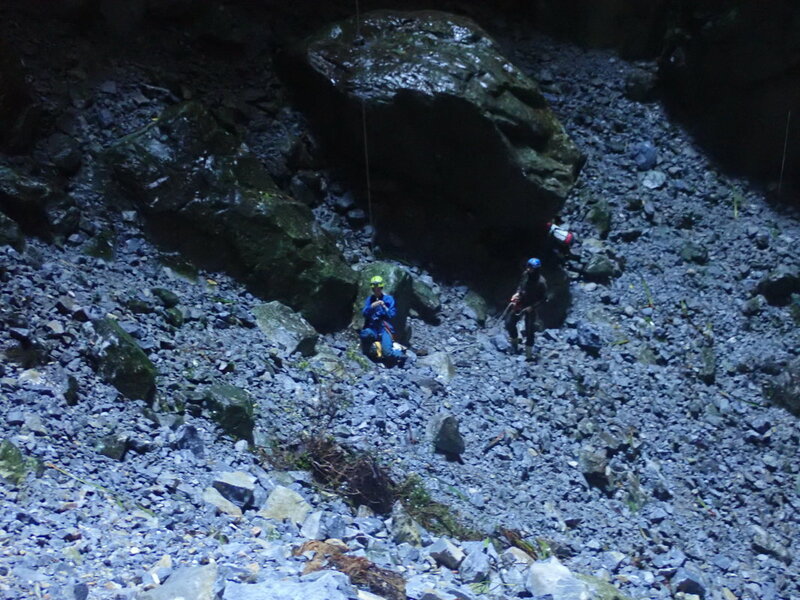 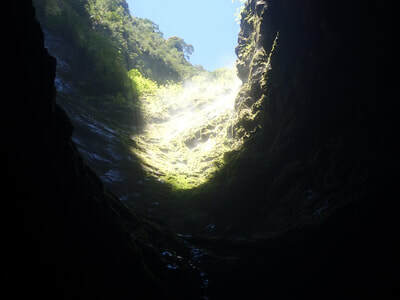 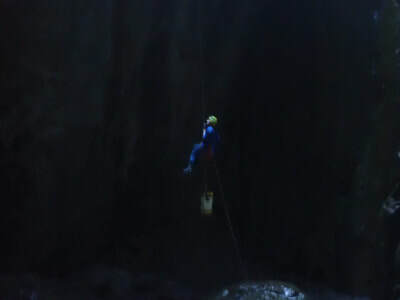 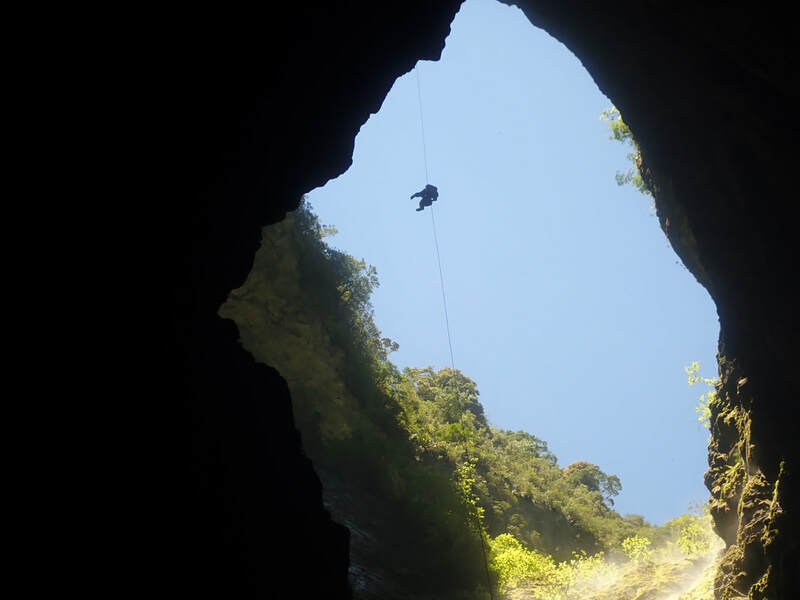 Students had to have the skills and ability to get themselves back up the 176m abseil in the event that anything went wrong on the trip; the cave is notorious for flooding. 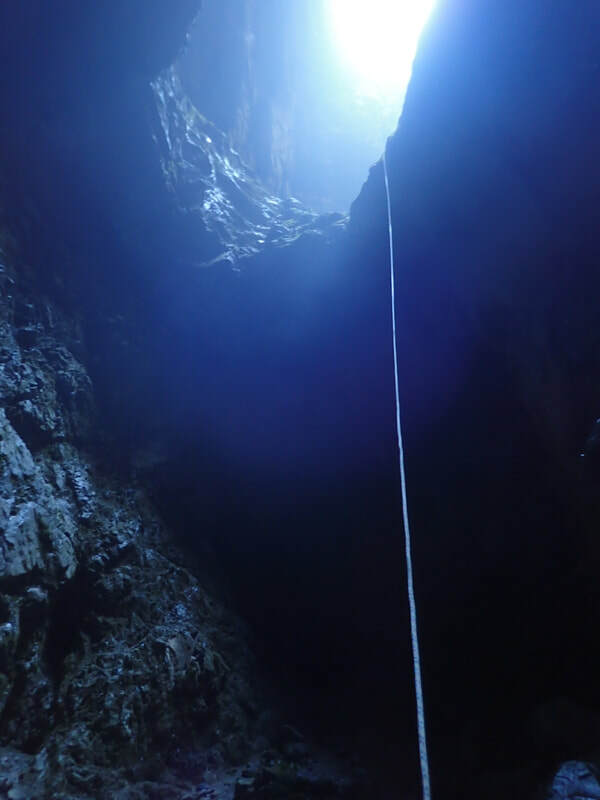 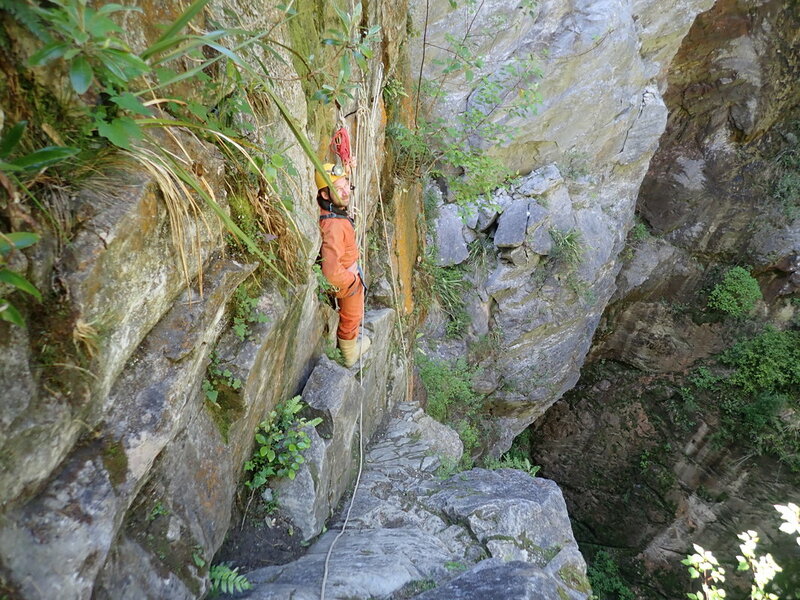 ​On the day, students lugged 2 x 200m ropes to the lip of the hole, one to abseil on, and another to use just in the case that a student got into difficulty. 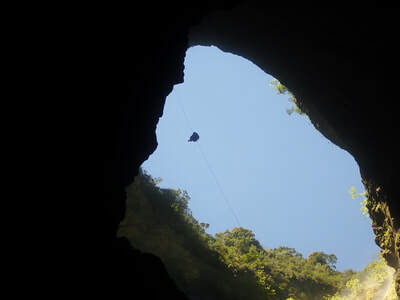 Edging their way out on to the take-off ledge, the cavers stomachs twisted as the vertigo grabbed them. 20kg of rope was hanging below them, so attaching to the rope required great effort, then once attached it was hard to move. 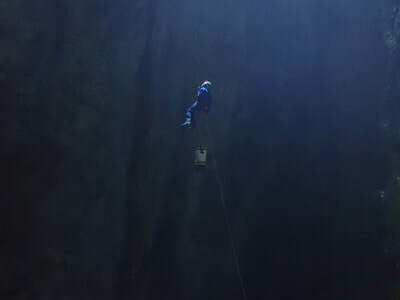 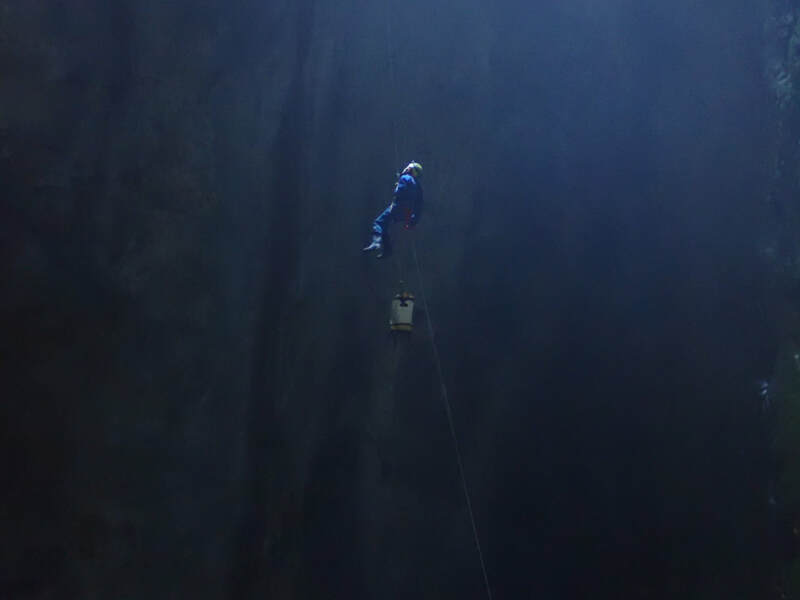 30m down the pitch, the rock wall of the cave falls back, and the caver dangles in free space for the remaining 150m to the bottom, spinning as the go down. 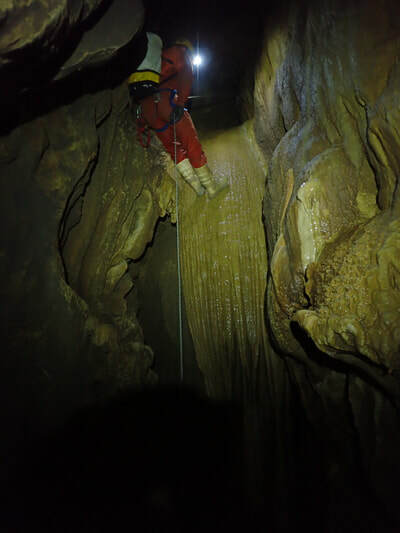 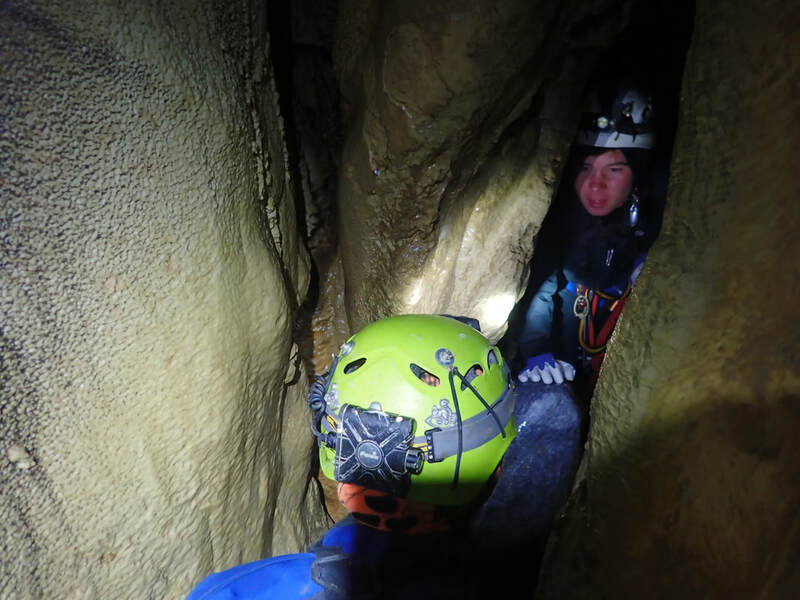 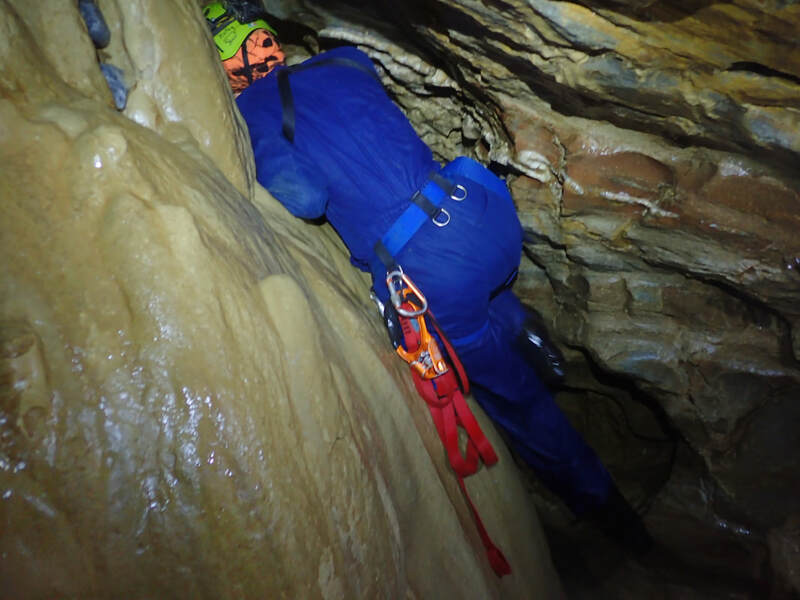 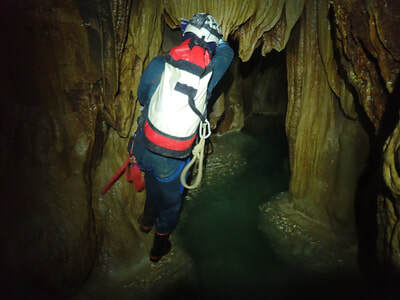 Cavers must be conscious of their increasing speed as they descend; less rope hanging below them decreases the friction in their rack, which they must compensate for, or risk accelerating out of control. They must also limit their speed because of the sheer amount of heat generated during the descent can be enough to melt the rope if they are too quick. 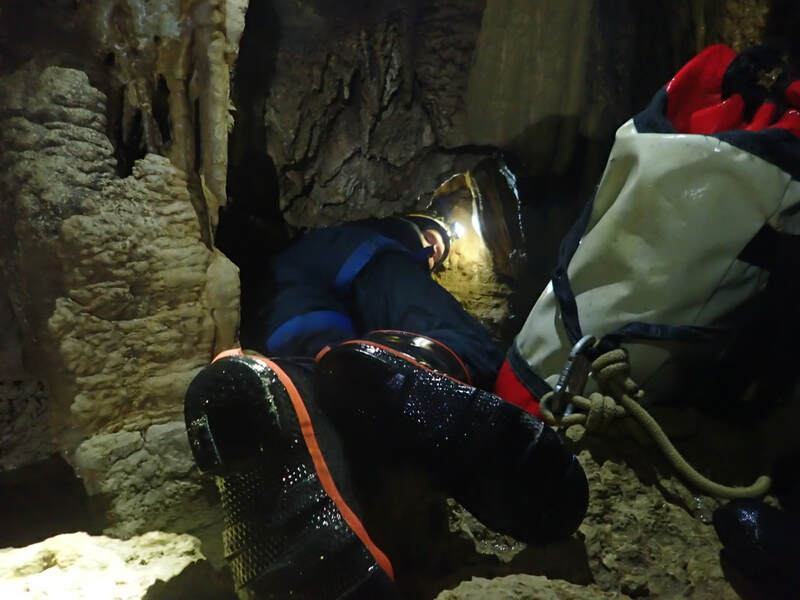 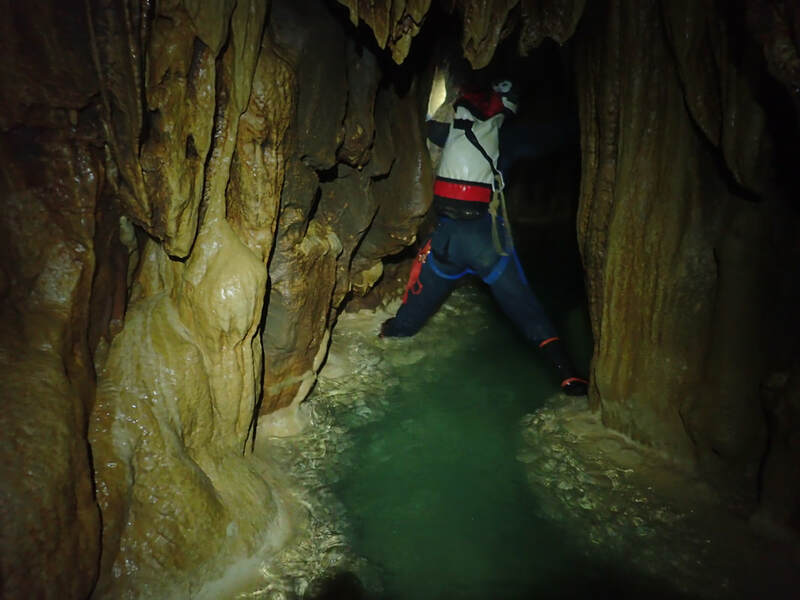 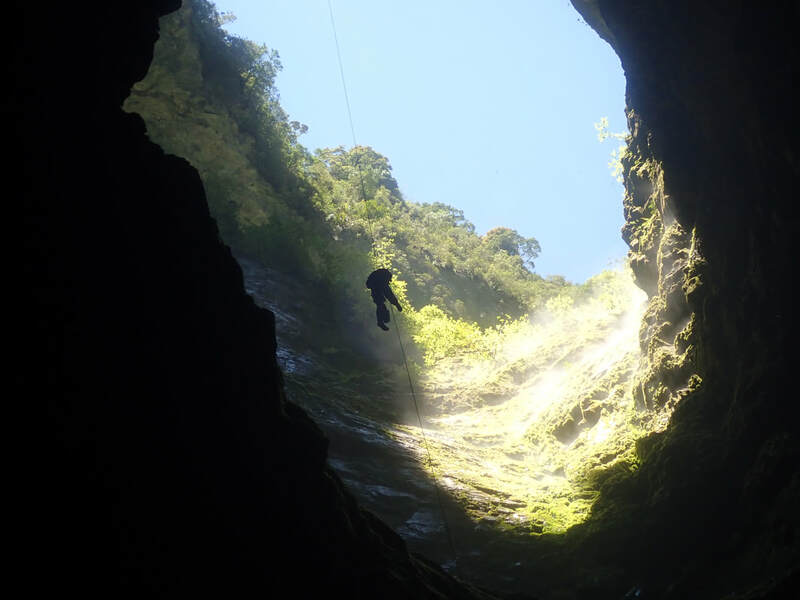 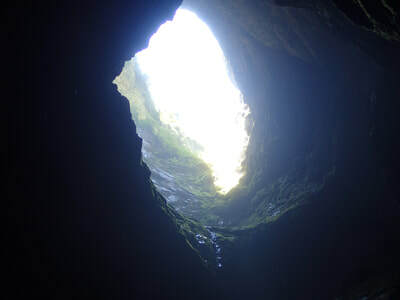 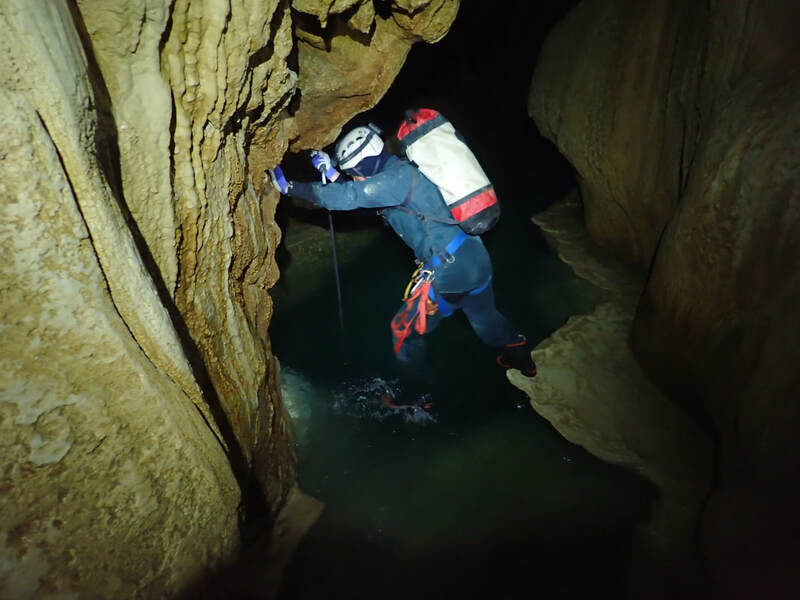 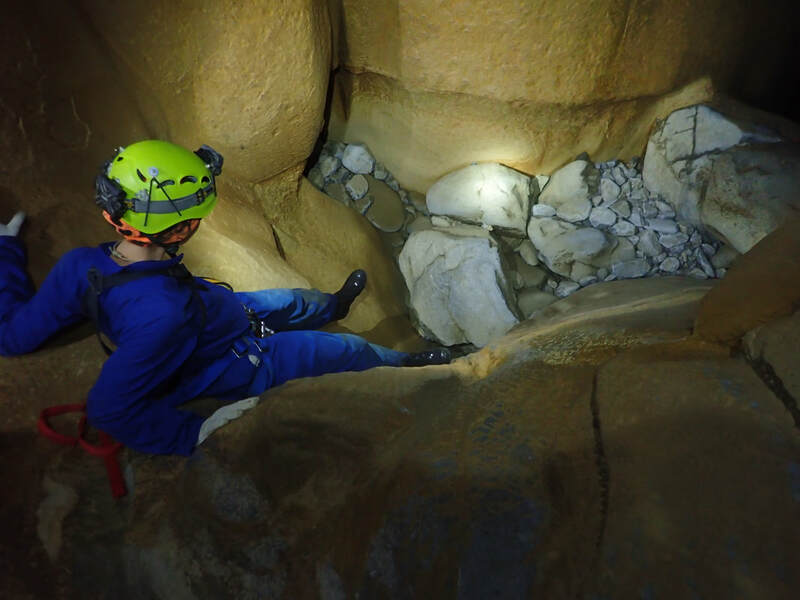 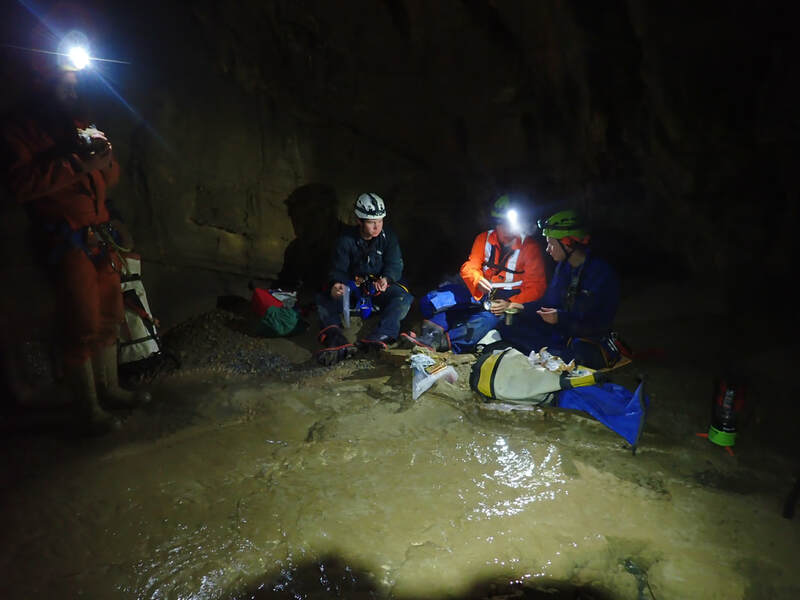 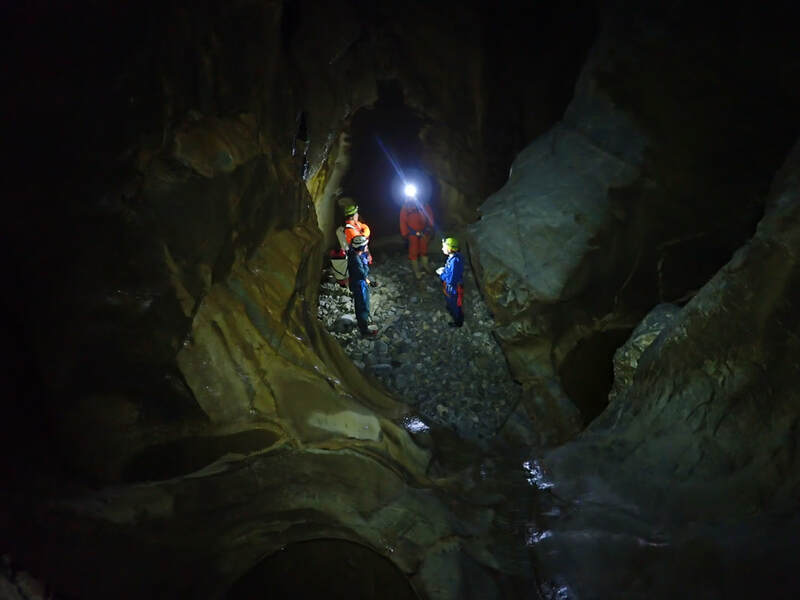 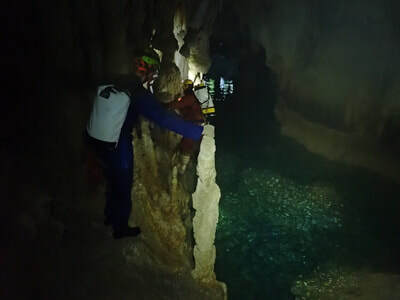 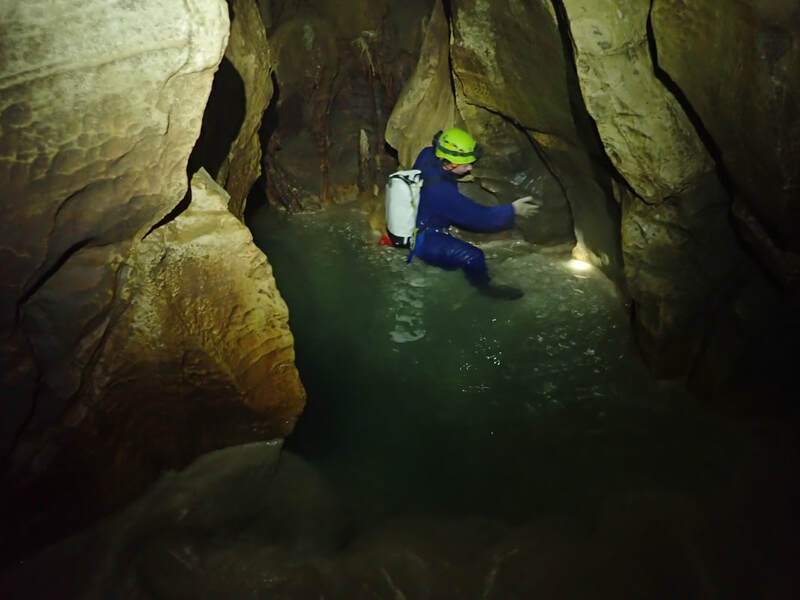 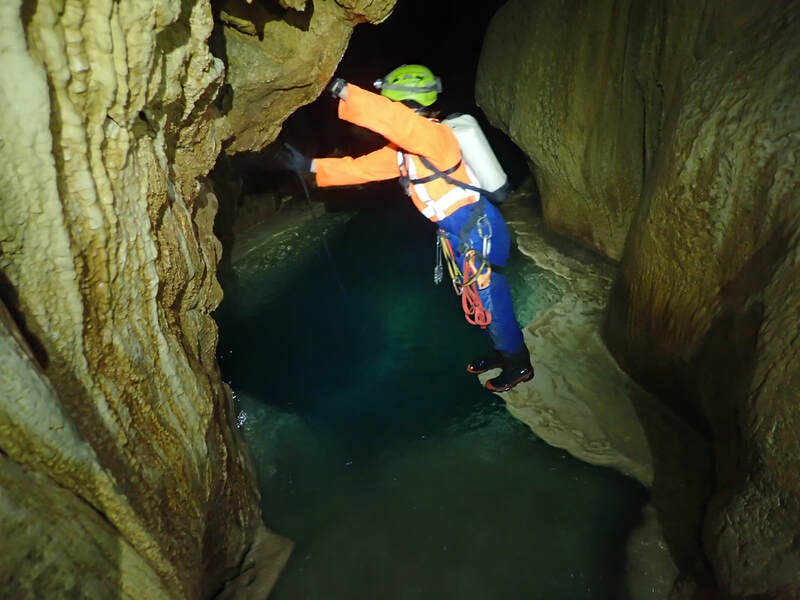 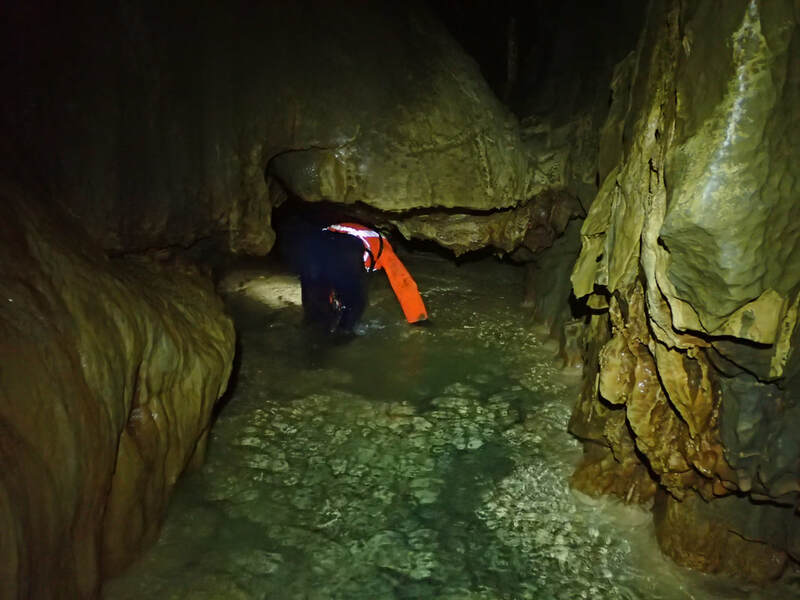 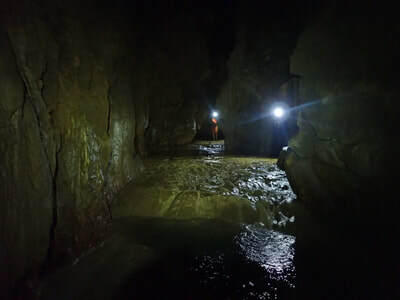 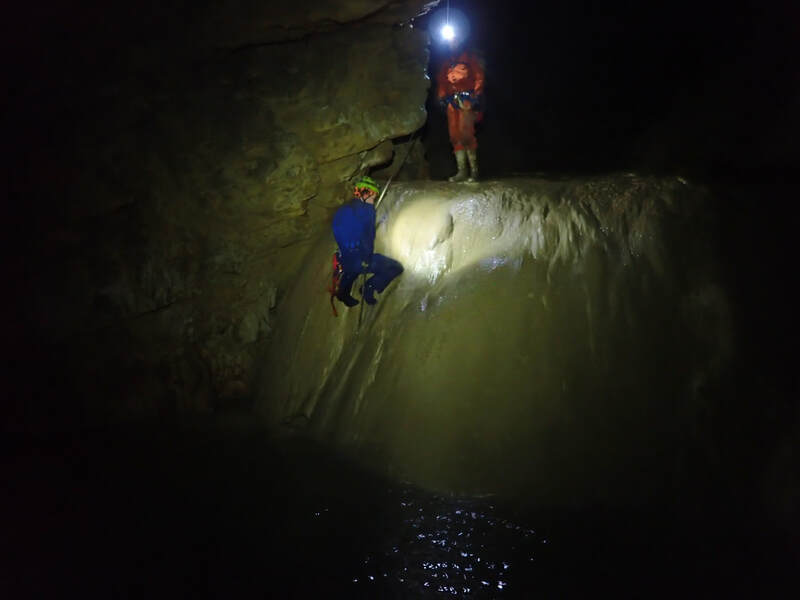 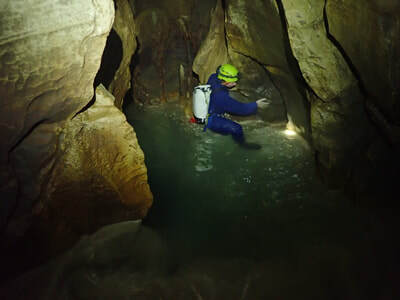 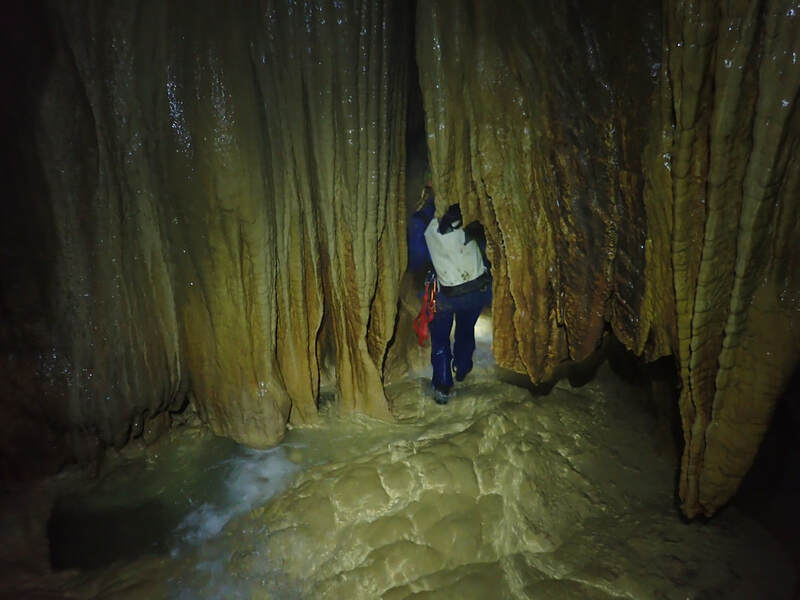 These hazards successfully overcome, the cavers, armed with a map of the cave, splashed, squeezed and abseiled their way through the 1.3km of cave, admiring the beauty of Starlight cave with its bottomless blue pools as they passed. 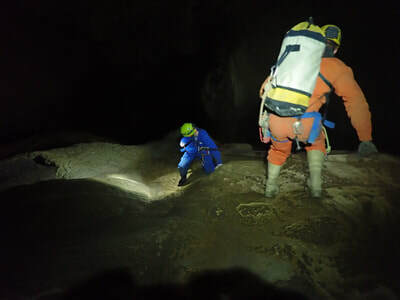 Upon emerging from the frigid cave temperatures into a tropical heat wave, the cavers were faced with a climb up all that they had just descended; 350m up the scree slope in the blazing hot sun, then back to the vehicles. They were trying their best not to brag too much to their friends the instant social media came back online, but all indelible grins etched on their faces, and a trophy in the cabinet. 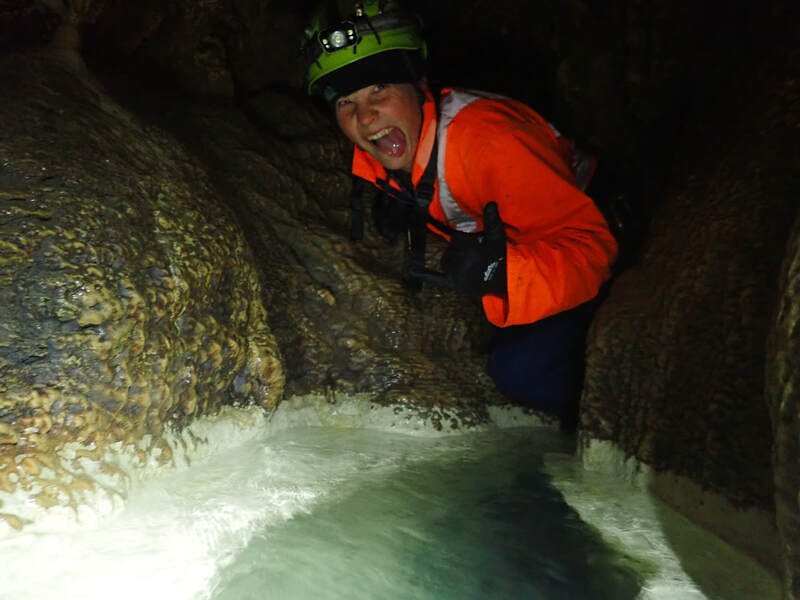 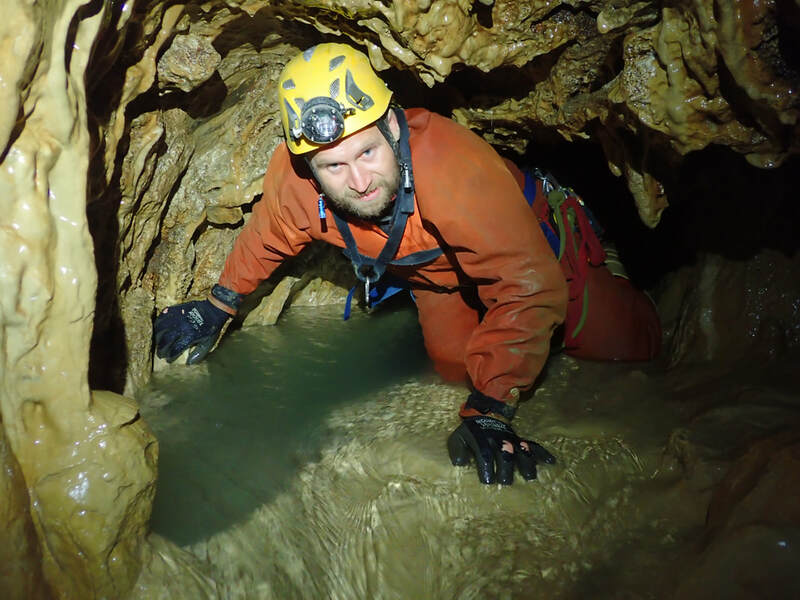 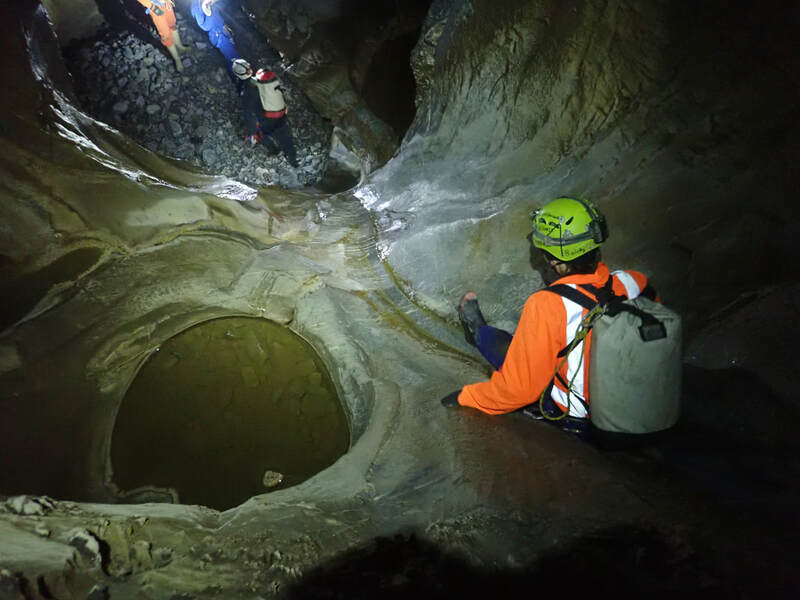 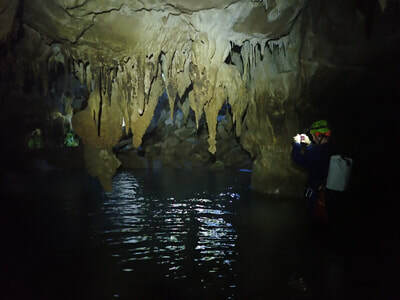 Thanks to Phil Castle from the Golden Bay Caving Group for volunteering his time and expertise to help make the trip happen, and for taking the EPIC photos!"